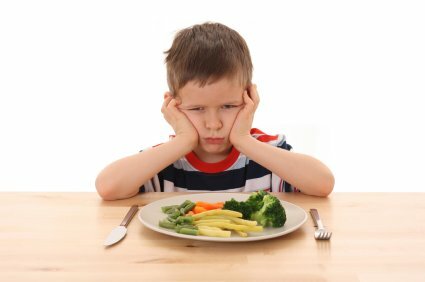 Almost every parent struggles to get their kids to eat vegetables and healthy foods. It is nearly impossible for vegetables and fruits to compete with sugary snacks and junk foods. We have created junk food junkies out of our kids by giving the whatever they would eat which often is fries, mac and cheese, and sodas. Parents it is time that we understand that we are putting our kids' future health at risk by not teaching the value of nutrition. Put junk in you will get junk out in the form of type 2 diabetes, heart disease, cancers, obesity, high blood pressure, depression, ADHD and much more. So please take this free report which we put together by looking at all the research available on how to get kids to eat more vegetables! Guess what...it starts with you modeling the behavior you want your kids to emulate! Almost every parent struggles to get their kids to eat vegetables and healthy foods. It is nearly impossible for vegetables and fruits to compete with sugary snacks and junk foods. We have created junk food junkies out of our kids by giving the whatever they would eat which often is fries, mac and cheese, and sodas. Parents it is time that we understand that we are putting our kids' future health at risk by not teaching the value of nutrition. We are what we eat! Put junk in you will get junk out in the form of type 2 diabetes, heart disease, cancers, obesity, high blood pressure, depression, ADHD and much more. So please take this free report which I put together by looking at all the research available on how to get kids to eat more vegetables! Guess what...it starts with you modeling the behavior you want your kids to emulate!